The Nipro TRUE METRIX Control Solution Medium (level 2) is a desired aqueous glucose solution for verifying the accuracy of the True Metrix blood glucose test Strips. 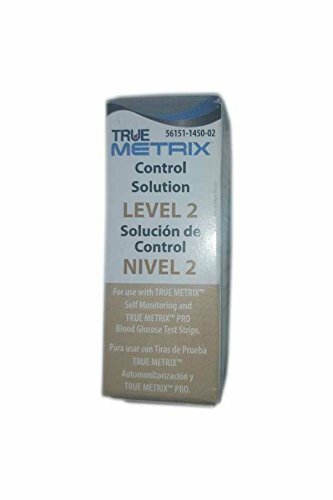 True Control Solution ensures that your TRUE METRIX meter and test strips are working together properly. The product contains a known amount of glucose that reacts with the glucose test trips. If you have any questions about this product by TRUE METRIX, contact us by completing and submitting the form below. If you are looking for a specif part number, please include it with your message. By One Touch / Lifescan, Inc.